The world population hit 7 billion in November 2011 and Worldometers estimated that net population growth is about 77,000 per day. Very soon, human will be outnumbered by mobile devices. Infact, according to network firm Cisco, that would happen this year. Screen-shot of my laptop display. 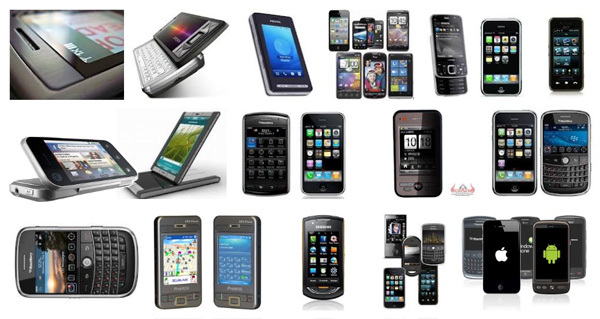 Not surprising as the usage of mobile communication gadget is increasing at exponential rate and the personal mobile equipment is flooding the market like a huge wave. The world is getting smaller and data users will be more and more mobile, no doubt. But those who produce data will still need to chain themselves to a desk in that sense; they will not be that mobile. Plus, in order to handle delicate data, you will need the big screens. Then again, how many of us would be managing such data compared to the mostly 'data consumers' masses? I don't have a 7-inch tablet yet but I can't imagine doing a decent work on one if I can't do the same on my 3.5 inch 4S screen. At the most I read e-mails, news, and other Internet surfing from it. Replying to e-mails with lengthy wordings is a bit of a struggle too. That said, let's see what the network company, Cisco said in their report. 6. Currently the average smartphone uses 150MB of data per month but this is expected to rise to 2.6GB gigabytes by 2016. WELCOME TO THE GIGABYTE CLUB! 9. In 2011 there were 34 million tablets and by 2016 tablets are predicted to account for more than 10% of global mobile traffic, out-pacing smartphones by miles. How come I don't see my S2 here... That's supposed to be in the picture, dude. Cuba ko crop dulu pic Samsung S2 then kasi photoshop masuk pic ni. Baru la ngam post ko. Wakakaa. Jaz kidin, boss. I don't know why, I love smartphone/ computers and other technology items. @Armstrong. Your S2 is such a celebrity, it doesn't need any introduction. Good choice! @Meitzeu. They become 'needs' rather than 'wants' in a fast-paced society, isn't it?